About 71 percent of the Earth's surface is covered in water. The energy harnessed from moving water can be used to create electricity. The two most common water energy technologies can be classified into two groups: Hydropower and Tidal Power. Hydropower is electrical energy derived from falling (potential energy) or running water (kinetic energy). The movement of the water turns the blades of a turbine, which is connected to a generator. This converts the mechanical energy into electricity. There are two primary hydropower technologies - dams and run of river hydro Pembina Institute - Energy Source: Hydropower - http://www.pembina.org/re/sources/hydro-power Pembina Institute - Energy Source: Hydropower - http://www.pembina.org/re/sources/hydro-power Pembina Institute - Energy Source: Hydropower - http://www.pembina.org/re/sources/hydro-power Pembina Institute - Energy Source: Hydropower - http://www.pembina.org/re/sources/hydro-power . A famous example of a dam (as well as a natural world wonder) is Niagara Falls, the biggest electricity producer in New York State, generating enough electricity to light 24 million 100–watt bulbs at once US EPA – Water Energy – August 2014 - http://epa.gov/climatestudents/solutions/technologies/water.html US EPA – Water Energy – August 2014 - http://epa.gov/climatestudents/solutions/technologies/water.html US EPA – Water Energy – August 2014 - http://epa.gov/climatestudents/solutions/technologies/water.html US EPA – Water Energy – August 2014 - http://epa.gov/climatestudents/solutions/technologies/water.html . Hydropower is the most commonly used renewable form of energy, accounting for approximately 16% of global electricity production International Energy Agency (IEA) - Renewable Energy Essentials: Hydropower - 2015 - http://www.iea.org/publications/freepublications/publication/Hydropower_Essentials.pdf International Energy Agency (IEA) - Renewable Energy Essentials: Hydropower - 2015 - http://www.iea.org/publications/freepublications/publication/Hydropower_Essentials.pdf International Energy Agency (IEA) - Renewable Energy Essentials: Hydropower - 2015 - http://www.iea.org/publications/freepublications/publication/Hydropower_Essentials.pdf International Energy Agency (IEA) - Renewable Energy Essentials: Hydropower - 2015 - http://www.iea.org/publications/freepublications/publication/Hydropower_Essentials.pdf . 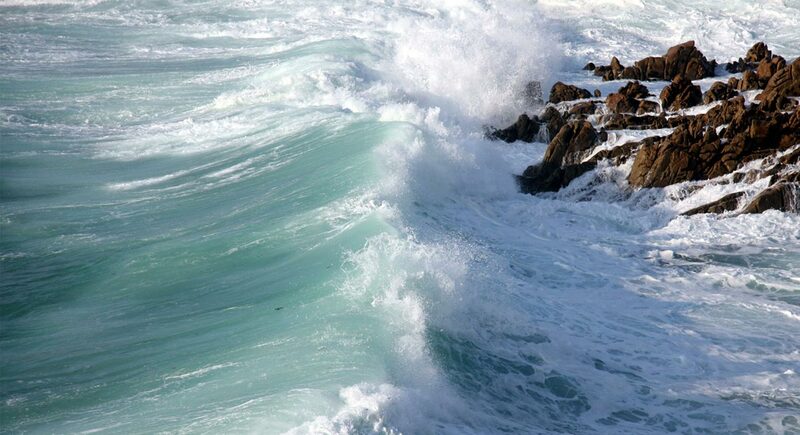 Tidal power converts the natural rise and fall of the tides into electricity. Tidal energy uses mechanical energy to create electricity using a variety of specific technologies including tidal fences, barrages and turbines. Additionally, wave power can be harnessed to capture energy from waves on the surface of the ocean using a special buoy or other floating device US EPA – Water Energy – August 2014 - http://epa.gov/climatestudents/solutions/technologies/water.html US EPA – Water Energy – August 2014 - http://epa.gov/climatestudents/solutions/technologies/water.html US EPA – Water Energy – August 2014 - http://epa.gov/climatestudents/solutions/technologies/water.html US EPA – Water Energy – August 2014 - http://epa.gov/climatestudents/solutions/technologies/water.html . Energy from water is considered a renewable energy because it uses the Earth's water cycle and gravitational pull to generate electricity. It also does not emit greenhouse gas emissions or air pollutants. However, depending on the water energy technology, negative environmental land use impacts can be an issue. Water is also heavily used in the energy production process. The vast majority of water used in the energy sector is for cooling thermal power plants, as water is the most effective medium for controlling waste heat International Energy Agency – Water for Energy – 2012 – http://www.worldenergyoutlook.org/resources/water-energynexus/ International Energy Agency – Water for Energy – 2012 – http://www.worldenergyoutlook.org/resources/water-energynexus/ International Energy Agency – Water for Energy – 2012 – http://www.worldenergyoutlook.org/resources/water-energynexus/ . Water is also used to generate steam for fossil fuel extraction and processing and for biofuel crops irrigation. About 15 percent of the world’s water withdrawal is for energy production, second only to agriculture. Given its scarcity and tremendously important role in energy production, water use and conservation is a challenge that many stakeholders in the energy industry face.